Cookies & Cream Flavour: Protein Blend Mix (Milk Protein, Hydrolysed Gelatine), Wheat Flour (Fortifying Agents: Calcium Carbonate, Iron, Niacin, Thiamin), Palm Oil, Sugar, Fructose, Cocoa Butter, Skimmed Milk Powder, Flavourings, Cocoa Mass, Emulsifier (Soy Lecithin), Whole Milk Powder, Milk Fat, Pea Protein, Soy Flour, Sunflower Oil, Whey Protein (Milk), Salt, Raising Agent (Sodium Bicarbonate), Sweetener (Sucralose), Corn Flour. 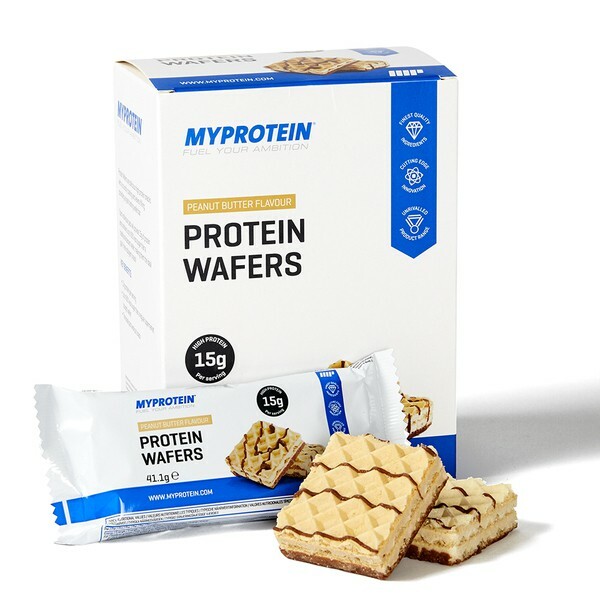 Protein Wafers are high protein wafer snacks with a velvety protein filling coming from a blend of milk protein isolate and whey protein isolate to deliver a deliciously tasting wafer. With the addition of new Peanut Butter, Cookies & Cream and Chocolate Hazelnut flavours, our range now consists of six great flavours to offer a truly unrivalled choice of Protein Wafers. 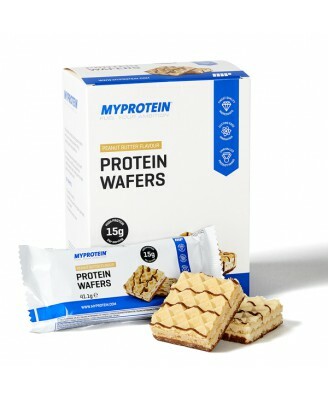 Protein Wafers are a fantastic alternative snack to help increase daily protein intake. Each serving provides 15g of protein. Who are Protein Wafers Suitable for? Protein Wafers are perfect for anyone looking to increase daily protein intake or for anyone looking for a high protein snack throughout the day. Protein Wafers are perfect to consume before or after training or throughout the day to help increase daily protein consumption. Once the wrapper has been opened, consume on same day. Store in a cool dry place away from direct sunlight.